What is the capacity of the hook? This winch line is built using a 1.5 Ton capacity swivel hook, with an ultimate Breaking Strength north of 12,000 lbs, which is greater than the 5/16" cable. 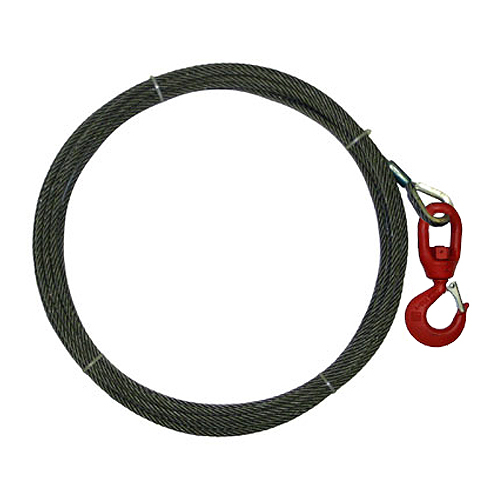 If you go up one size to a 3/8" winch line, then the hook is increased in size to a 2 Ton capacity. The intent is to keep the hook rating close to the cable rating, with the hook being equal to or greater than, but not less than the cable.